CTP stocks diesel cylinder heads for a huge array of applications, including the latest C-Series engines. 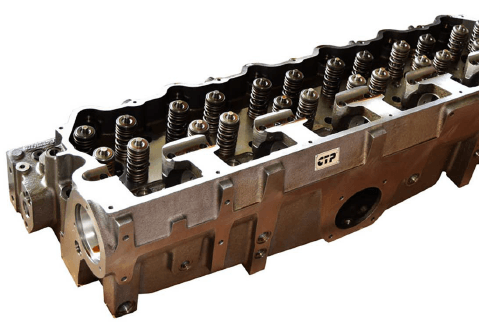 Our cylinder heads are CNC machined to exact specifications using premium materials and state-of-the-art manufacturing to ensure the quality of every casting. Our Cylinder Heads are available as budget-friendly bare Cylinder Heads for repairs where re-usable parts are swapped over from the original cylinder head. 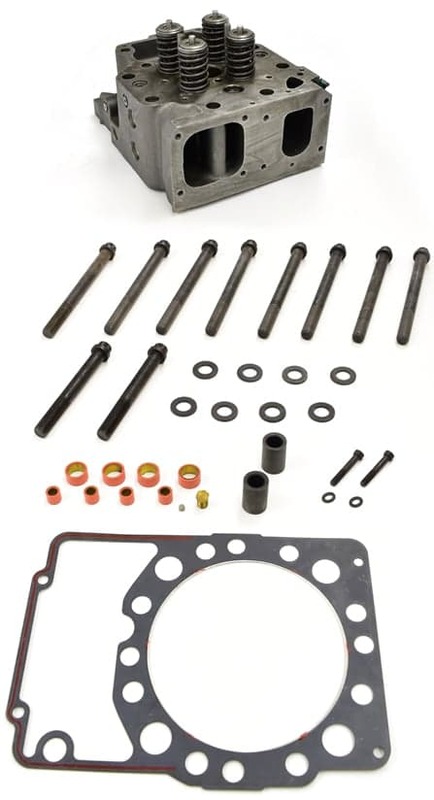 In addition to the bare cylinder heads we offer a complete inventory of new replacement valvetrain parts to complete the job. We also offer complete Cylinder Heads fully built, ready to install. The heads are assembled using blueprinting methods; where all the parts and components are check for fitment prior to assembly. All our cylinder heads are checked for dimensional accuracy, straightness and surface finish. The valve seats are micro finished and the assembled cylinder heads are vacuum leak tested to assure a positive valve to seat seal. your machines running and moving!